Home / Finance / Islamic mortgages: Shari’ah-based or Shari’ah-compliant? Islamic mortgages: Shari’ah-based or Shari’ah-compliant? Sheikh Haitham Al Haddad is a director of the Muslim Research and Development Foundation (MRDF). The MRDF, which was awarded charity status in 2007, and is a co-operative research based venture, run by scholars, imams and other professionals, with the aim of articulating Islam in a modern context, as well as addressing the unique situation faced by Muslims in the West. He is also involved with the Islamic Shari’ah Council, a body which deals chiefly with the issue of Shari’ah-compliant marriage and divorce in the UK. The council also provides advice and guidance to British Muslims on financial, business and other matters. He is currently working on a PhD in Islamic jurisprudence at the School of Oriental and African Studies (SOAS), a major part of which is about mortgages. He also sits as an advisory scholar for Ansar Finance, an Islamic initiative in Manchester, which was founded in 1994. Here, he explains to NewHorizon his views on the problems with Islamic finance in the UK. Al Haddad believes that, while Muslims living in non-Islamic countries deserve ‘special consideration’ within the Ummah (worldwide community of Muslims), ‘there are some aspects of their daily lives that cannot be changed because they live in the West’. Finance is not the only aspect which Al Haddad believes this applies to, another example being marriage. However, the ‘interest based system is one of the most dangerous systems in the world’, so ‘the gravity of the problem’ for Western Muslims is huge. Al Haddad quotes the late American president Thomas Jefferson, that ‘if the people wanted to be enslaved, they should allow the banks to create money’, and he goes on to say that the creation of money and the creation of interest-based systems are of course linked. ‘We Muslims should hold firmly onto the value that the interest-based system is prohibited.’ However, Al Haddad is also a prominent critic of supposedly Shari’ah-compliant finance in the UK and elsewhere. His main criticism is the way in which riba is interpreted in a literal, semantic way by equating it to the word ‘interest’. What this allows is for a system to be devised in which the flow of money and the share of risk between agents is completely equivalent in a supposedly halal transaction to a conventional transaction based on interest. ‘My problem with Shari’ah-compliant finance is that the whole process is more or less the same’ as conventional banking, he explains. The effect of this is that the prohibition of riba makes no noticeable difference to finance. ‘In all the schemes for Islamic mortgages, the bank buys the property and sells it to you. This will be now, or later, according to murabaha, and may be just with part of the property. The bank buys the property and sells it to you. The big problem is that the bank buys it in order to sell it to you’. Thus the bank buys the property with the intention of selling the property. Moreover, ‘when the bank buys it, the bank knows that you are obliged to buy it’. This means, to Al Haddad, that since the bank is guaranteed to sell the property, the concept of the bank’s ownership of the property during the mortgage is phoney. ‘The bank is paying X money to buy the property, and by contract is obliging you to pay the bank X amount plus Y. So in a nutshell, the bank pays money, and gets more money for it, which is the interest-based system’. This is achieved by combining contracts which, on their own, are halal, but looked at as a whole, clearly include the equivalent of interest. A bank might buy a property and sell it in instalments to a homebuyer at a profit, and this will only be possible if the homebuyer promises to buy the property from the bank, as soon as the bank has purchased it. From the banks perspective, in this murabaha model, the bank avoids a situation where it owns the property for any length of time. This can be added to the fact that the rate and amount of repayment from the homebuyer to the bank is likely to be strongly linked to interest rates. However, the example of Ansar is of questionable value to Haddad’s argument. Having started in 1994, the model has yet to catch on, or to grow significantly (its website claims 800 members). Haddad does provide a reason for this which is that it is difficult to build sufficient funds for mortgage lending from scratch. Secondly, he says, ‘I am often disappointed by the lack of support for Ansar from the community and also businesses’. Yet he is sure that Ansar’s model is commercially viable, and believes that larger Islamic banks in Britain have not copied Ansar’s example, or developed a similar framework, because ‘they want to eliminate any possible risk’. The larger banks’ Shari’ah boards adopt a lenient approach, for example, by arguing that it is unfair for a bank to suffer a loss since it is responding to a client’s expressed need for a home. Meanwhile, the mainstream of Islamic finance would most likely make the criticism that, while qard hasan is suitable for microfinance, it is not so suitable for attracting huge funds with high volumes of investments. To do so, there would need to be a profit motive. And neither the Holy Quran nor Prophet Muhammad prohibit entrepreneurship and possible subsequent wealth (provided that both are confined to permissible activities, sharing in the risk and reward without involving usury and interest). The Quran clearly states, ‘God hath permitted trade and prohibited riba’ (2:275). Al Haddad’s criticisms of Islamic banks’ approach to risk are compounded by the difficulties he sees in regulating the industry in the non-Islamic West. He is particularly critical of the auditing processes. Scholars at most Islamic banks in Britain, who as Al Haddad has already made clear take a lenient approach, ‘are not auditing the implementation of whatever opinion they give’. ‘What they should say is “here is what we suggest is halal. Then let us see examples of your transactions. Are you implementing what we are saying?” but they don’t do so.’ Al Haddad states that there is currently no legal requirement for scholars to do so. However, ‘in order to ensure an organisation has received a certificate that its products are of a certain standard of quality, we need to audit it regularly’. But who can perform such a task in the UK? The Financial Services Authority (FSA) would be ideally placed, thinks Al Haddad, except that it represents a secular government. ‘We can discuss whether the UK government should play a role, in ensuring that the audits are real, and making sure that the interpretation is accepted by the vast majority of Muslims.’ However, Al Haddad does not see this as realistic. ‘It doesn’t fit. For example, if I don’t believe in halal meat, how can I monitor it? Maybe technically it can be done but it would not bring confidence’ to Muslims. The alternative, as Al Haddad has suggested to his peers, is to form an independent body of scholars in the UK to perform the functions that the FSA ideally would. There are some examples of this throughout the world. The AAOIFI (the Accounting and Auditing Organisation for Islamic Financial Institutions) is one. And there are only a few institutions which work on a similar model to Ansar Finance Group. In the meantime, Al Haddad believes, ‘we need Muslim governments to play a role. Then it would be easier for non-Muslim governments such as in the UK to get help from Muslim governments, and to establish their own Shari’ah board’. Next: To Trick or Treat, or not? I wonder what is Sheikh’s opinion on Guidance Financial Group based in USA. By far, they are the most popular Islamic financial group in US with over $3B in contracts. what you would need to do to get a better price. 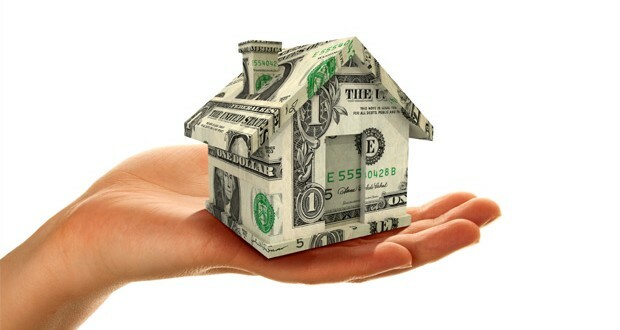 The problem is no lender wants to take on the risk of fluctuations in property value. Likewise no borrower would really want to pay extra if the house price rises. If they both agreed to take this risk then a true halal system is perfectly possible. facts on the topic of my presentation subject, which i am going to convey in university. From an economic point of view the qard e hasana structure is far better for a given. This is because it promotes the system of helping one another in the society and removes any strings being attached to the finance being provided. If there are strings attached to means of finance it would always make the person cautious of taking out more money, thus hindering economic growth. I do accept at the moment many of us are “greedy” and do not want to part with our money, but this can change with tarbiyah. For those who do understand economics if you look up the concept of “velocity of money” you will see the tremendous benifits and economic prosperity, even on the wordly sphere, when such a system prevails. I agree the current ‘halal’ mortgages (in my opinion) are just a play on words and leave the owners worse off than if they were to take a conventional mortgage. I don’t understand how this qard hasan system works.. why would a person loan someone they don’t know around 200k with no guarantee that it will be returned? Shaykh very good points made like i said we need the scholars in involved in Islamic finance to come together to agree on certain principles for the transactions this way there will be some level of confidence in these products and then allow us to ensure the banks are implementing these transactions as agreed.